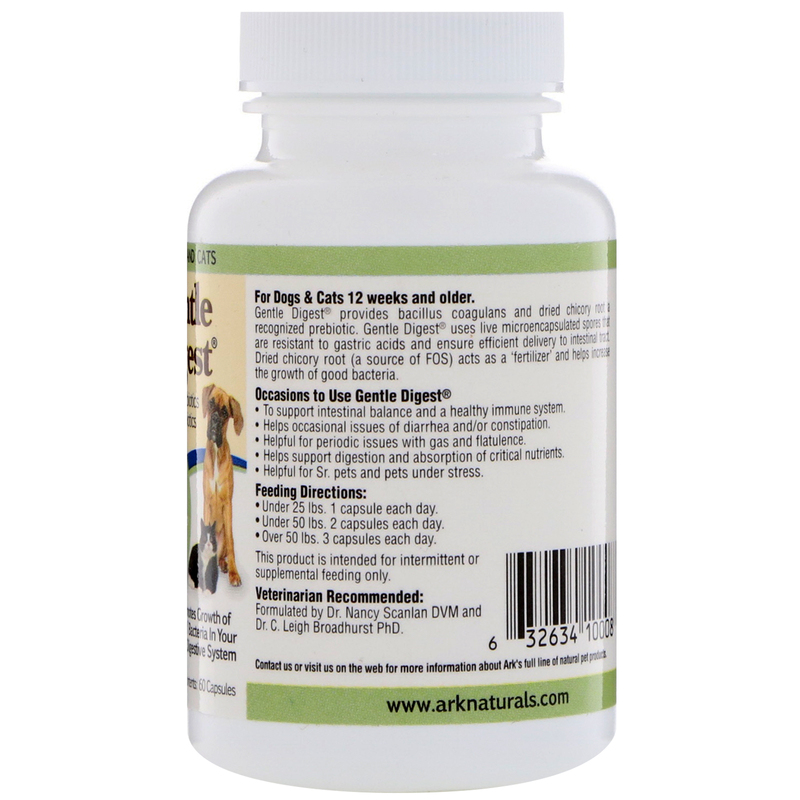 For Dogs & Cats 12 weeks and older. Gentle Digest provides bacillus coagulans and dried chicory root a recognized prebiotic. 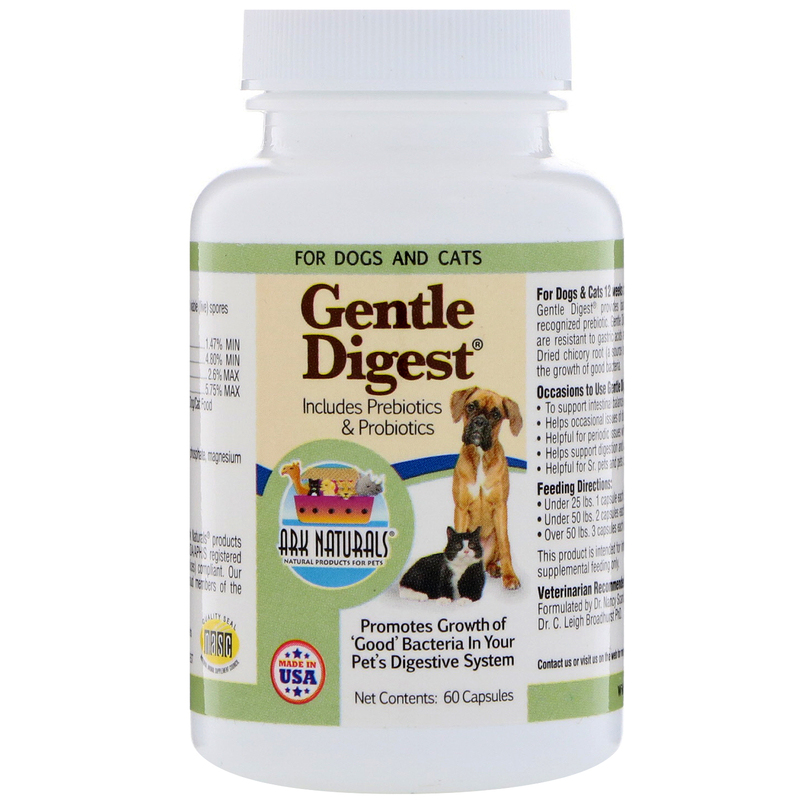 Gentle Digest uses live microencapsulated spores that are resistant to gastric acids and ensure efficient delivery to intestinal tract. Dried Chicory root (a source of FOS) acts as a 'fertilizer' and helps increase the growth of good bacteria. To support intestinal balance and a healthy immune system. Helpful for periodic issues with gas and flatulence. 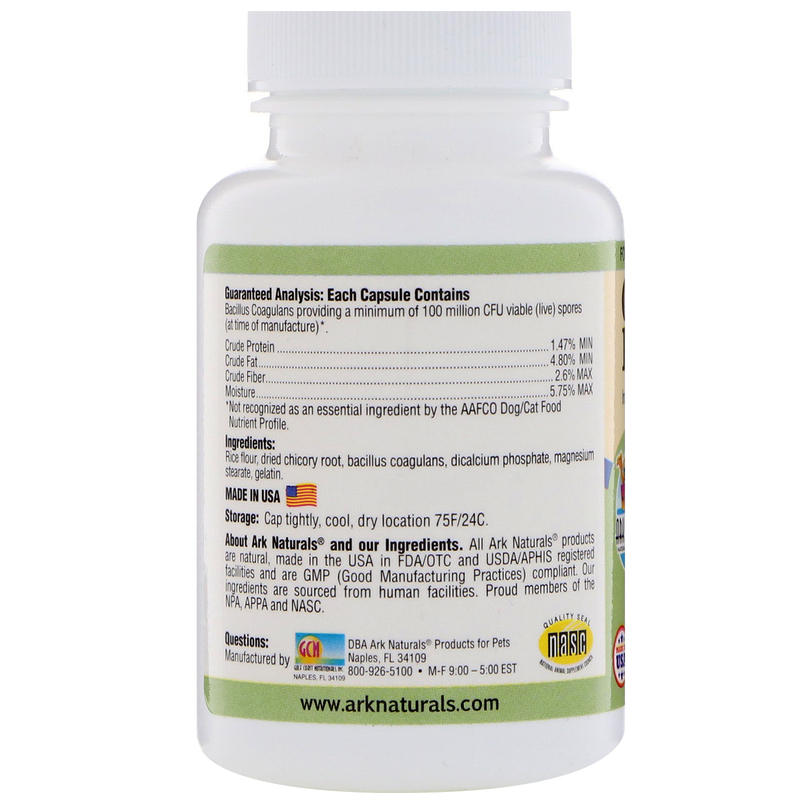 Helps support digestion and absorption of critical nutrients. Helpful for Sr. pets and pets under stress. Formulated by Dr. Nancy Scanlan DVM and Dr. C. Leigh Broadhurst PhD. About Ark Naturals and our ingredients. All Ark Naturals products are natural, made in the USA in USDA/APHIS registered facilities and are GMP (good manufacturing practices) compliant. Our ingredients are sourced from human facilities. Proud members of NPA, APPA, NASC. Rice flour, dried chicory root, bacillus coagulans, dicalcium phosphate, magnesium stearate, gelatin. Bacillus Coagulans providing a minimum of 100 million CFU viable (live) spores (at time of manufacture). *Not recognized as an essential ingredient by the AAFCO Dog/Cat Food Nutrient Profile.